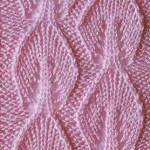 Lace Knitting Stitch with Wavy Edge. Can you please provide the chart symbols in English? Many thanks. Beautiful design! 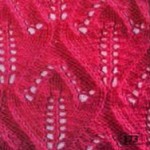 See my link to knitting abbreviations of Japanese symbols! 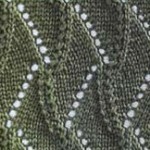 I can’t find the link to read this pattern. I don’t like charts, can’t read charts, dont want to learn charts. 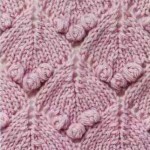 Would it be possible to have “translations” for these beautiful patterns? Thank you so much, it all looks so wonderful! Hi, I love this pattern but am useless with charts and the Japanese explanation I can’t work out. Thank you. Lovely pattern. It’s no trouble to take the time myself to work out the chart, some people are very demanding! what does the blackened space represent on the chart?